I recently visited the Luton/Dunstable operation and met up with Commercial Director, David Shelley and Luton Operations Manager, Dave Streeton at the garage on Dunstable’s Woodside Industrial Park to see first hand what this local business is all about. Dunstable has been a difficult place to operate for many years, partly because of the traffic situation and partly because of the economic situation as the town has struggled economically for years. The main bus picking up point for Dunstable buses of all types including the Busway is known as the Winston Churchill, although as the pub that bore this name has now closed it will probably have to be renamed. The local authority is Central Bedfordshire and the company enjoys a good relationship with its local officers. Much of their area is quite rural and they support rural services. Central Bedfordshire still has a 24-hour concessionary scheme, which is increasingly rare, and it is well used. 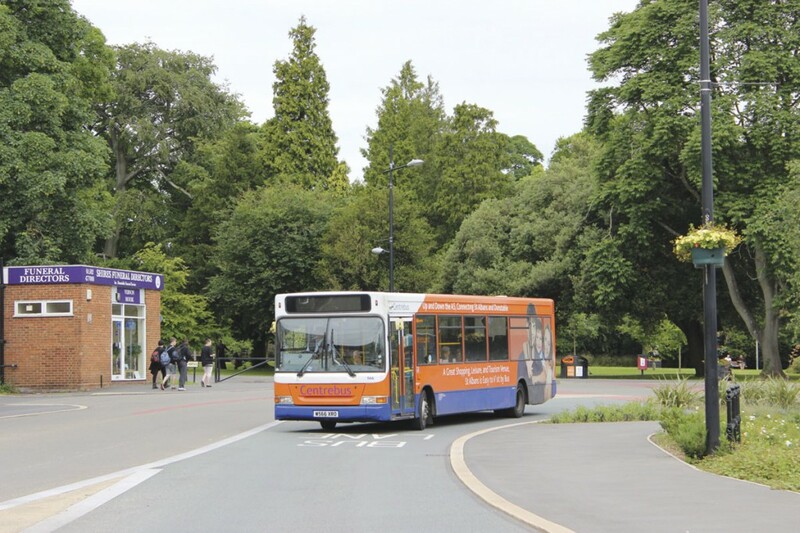 Buses are generally well used in the area and there is a lot of community interest and involvement in the services, which is something that Centrebus welcomes. 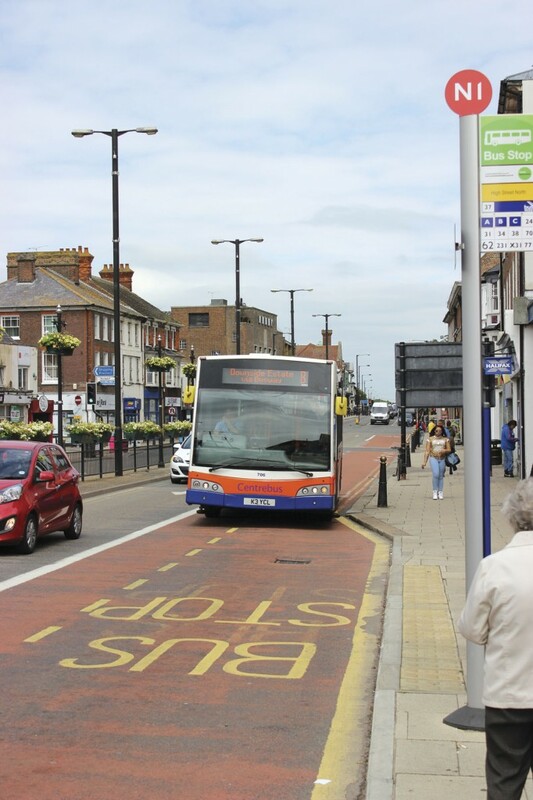 The crossroads in the centre of Dunstable is operationally difficult and always has been but the bus lane that has been installed down the High Street (the A5) is a big advantage and the new bus lane outside Court Drive, near to Asda, is also very beneficial. The garage has 44 buses with a PVR of 35 and employs 70 drivers. Apart from Dave Streeton, the management team includes three supervisors, Engineering Manager, Justin Garratt and five engineers. 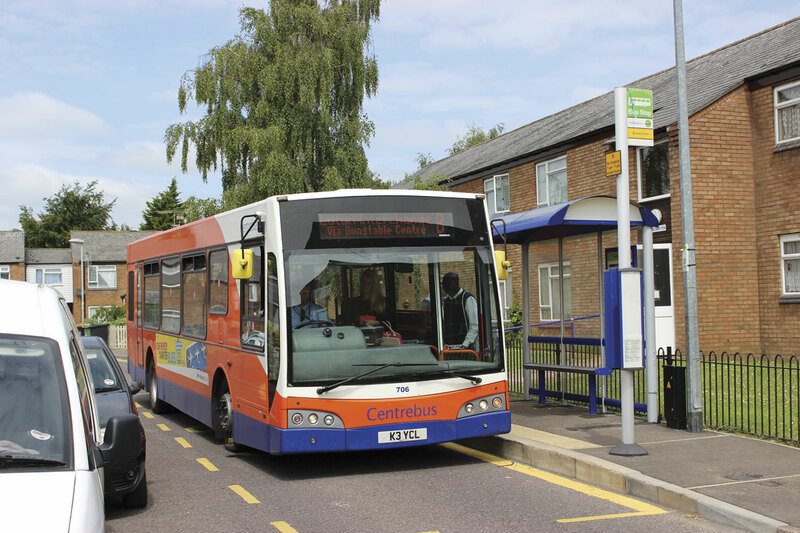 The Centrebus network incorporates 13 routes and their variations, the busiest of which is the 10/10A which, along with the 27, links Luton town centre with the Marsh Farm housing estate to the north of the town. This has just received new Enviro200 buses branded in a special ‘top 10’ livery that adds yellow to the standard orange, blue and white adopted across the Centrebus empire. Operating every nine minutes in the daytime, it has seen passenger numbers rise 92% in the past seven years. On the day of my visit, two separate sets of roadworks on the route were challenging the operating team. Other branded routes are the X31 which links the two towns with Milton Keynes to the north and Hemel Hempstead to the south and the 34 between Dunstable and St Albans. The X31 was originally conceived as a faster option between Luton and Dunstable but the arrival of the Busway has superseded this and the service has evolved, become slower and now runs via Dallow Road, an area that has seen a reduction in service in recent years. It is beginning to attract more custom. Once it reaches Dunstable it continues either to Milton Keynes or Hemel Hempstead. The 34, in common with a number of services, starts from outside Dunstable’s Asda store. It was the first route Centrebus launched in the area back in 2002 competing with Arriva’s 343. Other routes include: the 17/17A, a circular linking Luton with Stopsley and Wigmore in two directions; the 19/19A/19B, serving Luton and Wigmore; the 20 from Luton to Toddington; the 46 between Luton and Hemel Hempstead; the 49 from Leighton Buzzard to Woburn and Kempston/Kingston (on behalf of South Midlands Connect); the 79 which runs north from Luton to Shefford and Meppershall; the 231 linking Luton and Dunstable via Caddington and Woodside; and the 366 between Luton, Harpenden, Welwyn and Hatfield. 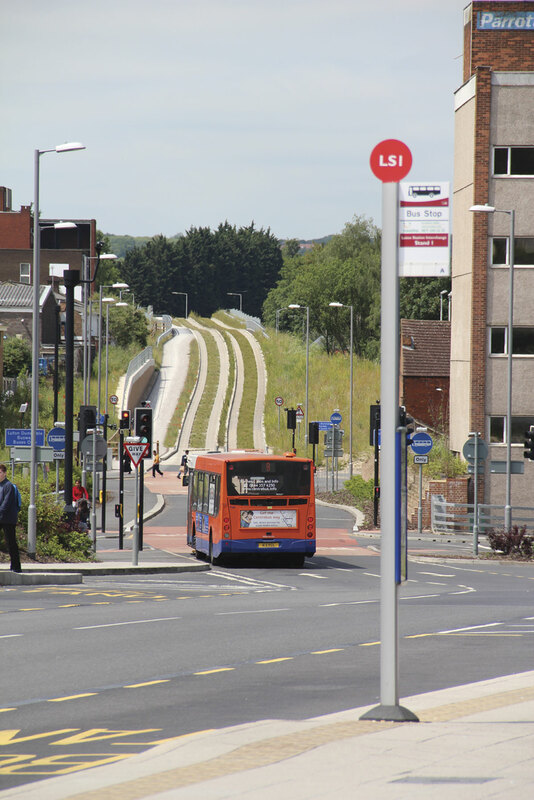 An element in the mix that the Luton operation enjoys is the Busway, opened last September between Luton and Dunstable at a cost of £91m. For the main part following the route of a disused railway, it provides a 4.8m guided busway within six miles of dedicated bus only route. Here again, Centrebus had to look carefully at the economics before making its move. Arriva put a fleet of brand new Volvo Wright buses on the A service but this was not an option for Centrebus. 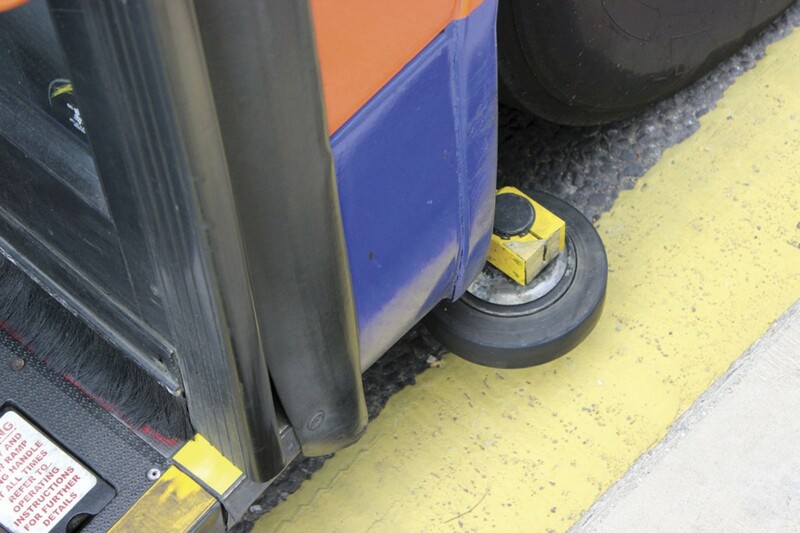 ‘We had to approach it creatively and ensure we could go on to the Busway,’ said David, explaining that because of the stresses and strains put on buses with guide wheels, it had to be operated with heavyweight buses rather than the lighter weight ones the company prefers. Centrebus is operating two routes. Service B runs from the Downside Estate in Dunstable to Luton Station Interchange via Dunstable, with a half hourly peak service and regular Sunday provision. Services interlink with Grant Palmer’s C service to give a seven/eight minute frequency, an arrangement that is ‘working pretty well.’ The E takes 26 minutes to go from Toddington Green to Luton Galaxy Centre via Dunstable White Lion on weekdays and Saturdays. The drivers working on it are a dedicated team, a move designed to increase the rapport between passengers and staff. On the B, Centrebus has chosen to use Scanias cascaded from the fleet of its Leicester operation which has gone completely lightweight apart from the vehicles used on the hospital services. 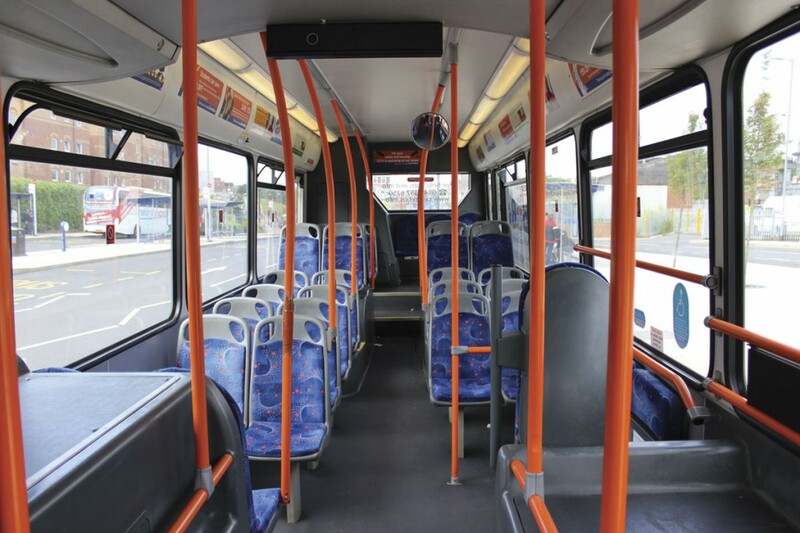 Originally used on Leicester’s intensive Outer Circle service, the vehicles have East Lancs Esteem bodies that were extensively refurbished, refloored and retrimmed as well as having wi-fi fitted before the opening of the Busway. 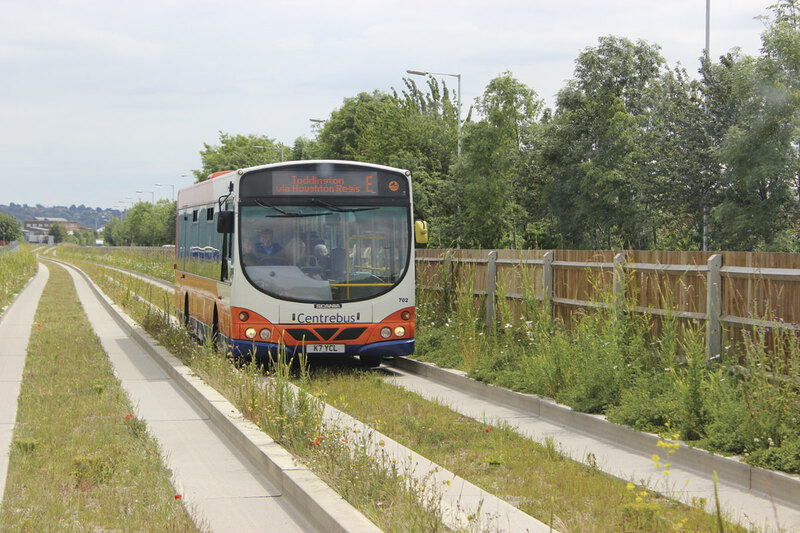 Their sub 12m length and shortened wheelbase makes them ideal for Busway service B which leaves the reserved track at White Lion and then serves the Downside estate, the downside of which is that the roads are narrow and inappropriate parking is rife. New in 2007, they seat 36 and are sturdy, if a little noisy. For the other Busway route, the E, which is less difficult to negotiate, an older 12m Wright bodied Scania new to DRM Coaches is used in addition to one of the Esteems as a result of a late decision to run half hourly instead of hourly. 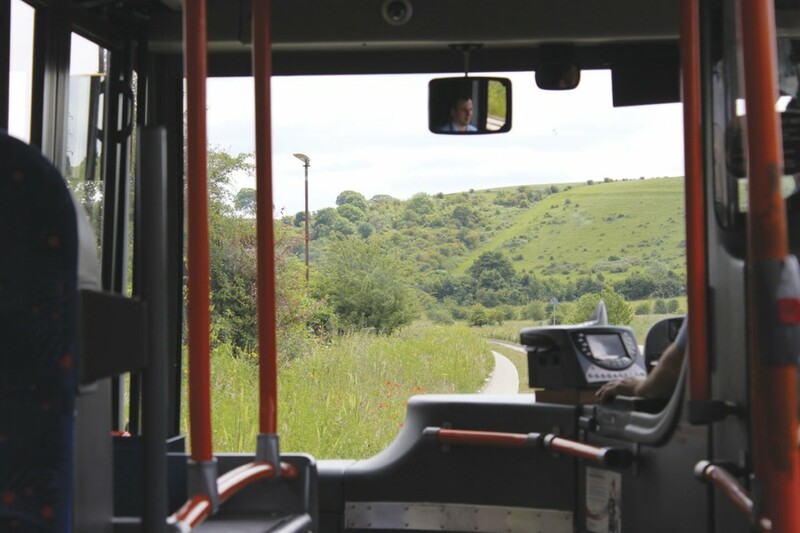 David is ‘Watching the Busway with interest’ and says ‘it is doing well in terms of passenger numbers.’ He admits that the B service has surpassed his expectations with loadings up 25% in six months. The White Lion stop is increasingly popular as it is handy for Central Bedfordshire College and the Woodside Estate. Though he finds it hard to gauge yet how the Busway is doing overall, partly because it is a multi operator environment, the key indicators to him are that passenger numbers are going up and Centrebus is beating its targets.